Adaeze Odili Oreh is a Family Physician, Public Health Specialist, Researcher, Health Systems and Policy Analyst and Manager. She is the Founder and CEO of Kaibeya Care Foundation, Africa – a non-profit organization she recently founded to improve health, education and empowerment of women and underserved populations in rural communities. She is a Member of the Governing Council of PAMO University of Medical Sciences – the first privately owned University of Medical Sciences in Nigeria. and acts as Director of Quality and Safety in both the PAMO University of Medical Sciences and the PAMO University of Medical Sciences Teaching Hospital. In addition, she serves as Co-Chair of The Adolescent Project Africa who work closely with rural and underprivileged girls, women and children in maternal, new born and children’s health; women’s skills acquisition and empowerment. Since it was founded in 2000 by her mother Justice Mary Peter Odili, the project has worked with and empowered over 500,000 women and their families in over 17 years of its existence. Adaeze is a dedicated health care worker committed to family and community health and development, and was the Programme Coordinator of the National Blood Transfusion Service Abuja Centre between 2009 and 2014. She has worked closely on numerous blood safety and community-based projects with the United States Centers for Disease Control and Prevention (CDC), US Agency for International Development (USAID), US Embassy, US Department of Defense, United Nations, United Nations Children’s Emergency Fund (UNICEF), World Health Organization (WHO), Institute of Human Virology Nigeria (IHVN), Safe Blood for Africa Foundation, International Red Cross Society, Gede Foundation, several higher institutions of learning, and community and faith based organizations. She was a lead member of the team involved in drawing up the blueprint for the current National Protocol for the Provision of Safe blood and blood products during National Emergencies in Nigeria. She sits on the board of several establishments, and has been involved in the establishment of several start-up companies in the health, agricultural, wellness and biotechnology sectors. She holds a Bachelor of Medicine and Surgery MBBS degree from the University of Nigeria, Nsukka, two Masters degrees and several postgraduate diploma degrees from other prestigious universities such as Imperial College London, London School of Tropical Medicine and Hygiene, and the Harvard T H Chan School of Public Health. She is also a trained counsellor and was recently inducted into the West African College of Physicians and National Postgraduate Medical College of Nigeria in their faculties of Family Medicine. Adaeze has written and published several articles in peer-review journals focusing on infectious diseases in the tropics, family medicine, preventive medicine, mental health, and health systems and policy. She regularly conducts free medical outreach services with medical colleagues in several rural areas. In addition, she volunteers with and supports several youth NGOs in blood safety, literacy, education and empowerment and is a strong advocate for women and children’s health working with the White Ribbon Alliance for Safe Motherhood. She is also a regular contributor on several radio stations in Abuja, speaking on health promotion and disease prevention. She has been invited to speak at several universities and higher institutions of learning, conferences and seminars locally and internationally. Adaeze has a keen interest in medical innovations and has offered consultancy and advisory services to several medical biotechnology companies on novel devices, product value, branding and placement strategy in the health sector. She currently writes a bi-weekly column with Premium Times NG a foremost online news platform, addressing contemporary healthcare issues to raise the consciousness of the public, stimulate dialogue and inspire citizen engagement for change where needed. She is a dedicated member of the Society of Family Physicians of Nigeria, World Association of Family Doctors ((WONCA), Nigerian Medical Association (NMA), Medical Women’s Association of Nigeria (MWAN) and her alumni associations. She has served the Imperial College London Alumni Association as one of its Country Correspondents since 2007. She has also served on many health and government committees. Career guidance and mentoring are causes dear to her, and she is a mentor to several young women, youths, doctors and career professionals. She also currently serves in the capacity of Abuja Liaison Officer and Care Counsellor of the Rebirth Women Centre International Ministry. 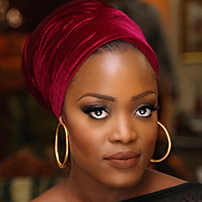 Adaeze enjoys music, is a patron of the arts and is passionate about interior design. She has been happily married to Patrick Oreh, an Electronics Engineer and entrepreneur who is a Manager with TOTAL E&P Nigeria, a multinational oil and gas company. They have been married for thirteen years and are blessed with two children. Adaeze is deeply passionate about her Christian faith.